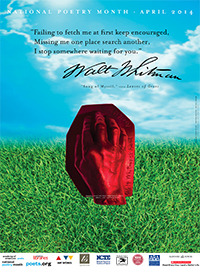 In 1996, April was established as National Poetry Month by the Academy of American Poets for the purpose of introducing more people to the pleasures of reading poetry and to appreciate the achievements of american poets. This year, the Academy is sponsoring the Poet to Poet Project in which students write poems in response to the poetry of the poets who sit on the chancellery board. Also, on the website you'll find 30 ways to celebrate poetry which includes read a poetry book, attend a poetry reading, write a letter to a poet, start your own commonplace book, and poem in your pocket. Poem in your pocket day is officially April 24th and my go to poet is Robert Frost. 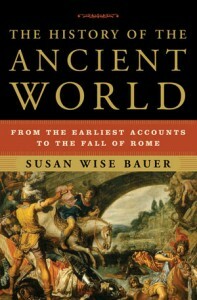 Also, join me in a readalong of Susan Wise Bauer's History of the Ancient World. I'll most likely be reading one to two chapters a week and allowing time for following rabbit trails as they appear. And if I'm feeling really ambitious, may just attempt to use the Study and Teaching Guide from Peace Hill Press. Please link to your specific book review post and not your general blog link. In the Your Name field, type in your name and the name of the book in parenthesis. In the Your URL field leave a link to your specific post. If you don't have a blog, tell us about the books you are reading in the comment section of this post. I just read Where the Sidewalk Ends by Shel Silverstein last week....too bad my timing was off!